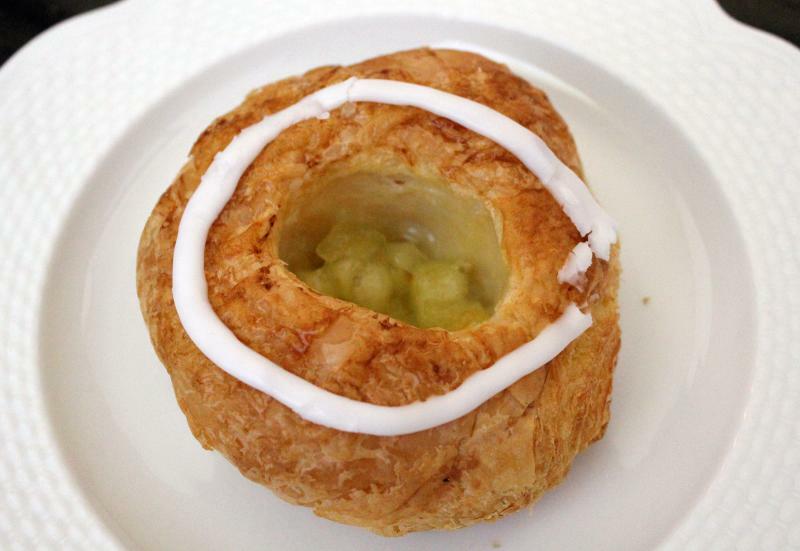 You don't have to be Danish to appreciate the authentic Danish pastry offerings from Copenhagen Pastry in Culver City. When I saw this new bakery going up on my way to and from work about two years ago, I knew I had to stop in and give it a try. The outside of the building is a perfect representation of the pastries inside - simple yet beautiful. If you're looking for a place to sit down and have a coffee and conversation with someone, this may not be quite what you're looking for, but if you want to taste light and airy (not to mention delicious) pastries, then I have to say you should stop in. The interior matches the exterior, with simplicity and cleanliness being the order of the day. They have two cases displaying their pastries, which you can see a picture of below. On the left are their more staple pastries that are a bit cheaper, while the ones on the right are slightly more expensive and also more dessertish (for example, you can get some full size cakes). The individual pastries run you about $1.90 each, while the dessert ones are $2.35. If you want a full cake, you're looking somewhere in the $11-16 range, depending on which you go for. Not too shabby. 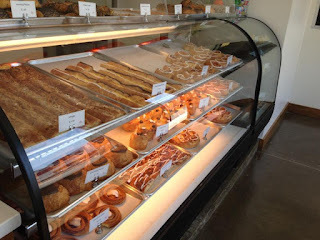 I'd been here once before and had two of the pastries I'm going to show you below, but in the interest of "research" for this post, I of course had to buy up a few others as well. Research is always a good excuse for more pastry, am I right? Duh. I asked which ones were the favorites of the girl getting them for me and got a couple others to round it out. I wish I had gotten one of their little crown looking things because they look so fun, but alas, I guess I will just have to go back again some other time! I'm going to give you a rundown of each pastry I tried below, but a couple other details about the shop - they have a little parking lot! In LA this can be a big deal. There is also usually ample street parking around there, but hey, who wants to pay to park on the street if they're just going to pop in really quick? They are also closed on Mondays, so make sure you don't try to stop by then or you will be sadly disappointed. I hear they are also working on opening up another store on the other side of town, but now I'm not so sure where I heard that, so don't take it as the 100% truth! Also, if you like seeing just how bakeries work, they have a little video about their process: A Day in the Bakery. Fun! And without further ado, here are the pastries that I tried. Spoiler alert: they were all delicious! A bit of a denser pastry than some of these others. 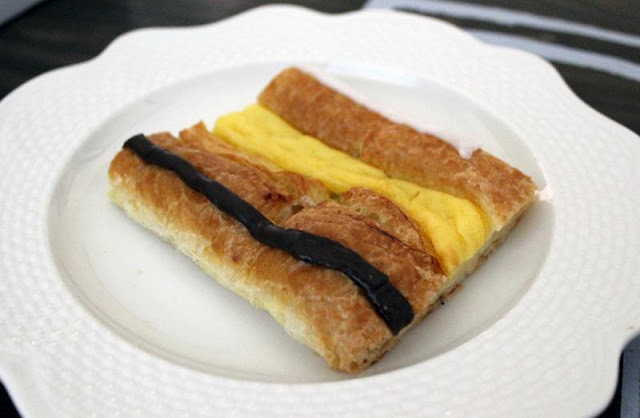 Has a nice custard filling that is yummy and not too sweet, plus you get that little hit of chocolate down the side. One of their most popular for a reason! 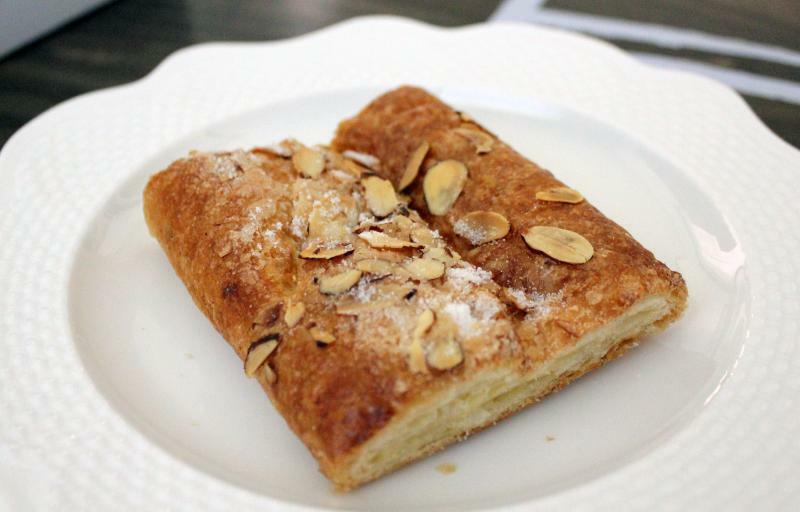 This one has almond paste, custard and sugar for its filling, with a sprinkling of crisp sugar and almonds on top. The almond paste is not super overpowering here, which is nice. Sometimes those croissants you get with the almond paste in them have waaay too much. This is just right. Probably my second favorite one, actually. 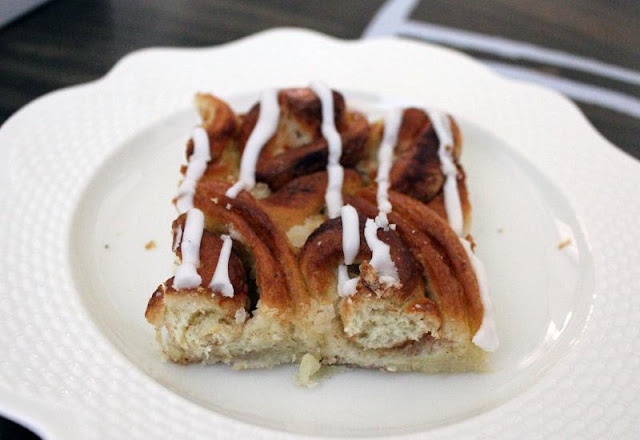 If you're a cinnamon roll kind of person, this is the pastry for you. Not to mention it's really pretty. It's a bit lighter than a cinnamon roll, not being drowned in the sugar syrupy stuff. This one is unexpectedly my favorite! I honestly didn't think it would be. 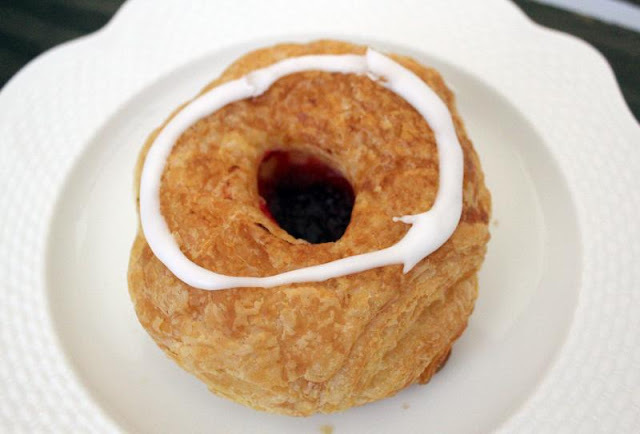 Light, airy pastry with a touch of sugar with the glaze, and then when you get to the raspberry center, it's really just perfection. 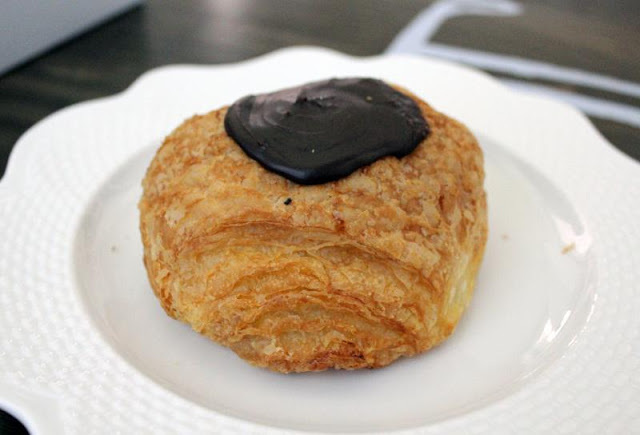 It reminded me again of a croissant but without any crispiness on the edges, which made me like it even more. I meant to only take a bite or two to get a taste, and ended up eating the whole thing! This is basically the same as the raspberry above, but with an apple filling instead. I prefer the raspberry in this case, but if you are an apple person, go for this one. This one is very puffy, which you might not be able to tell from the photo. It has some custard filling in the center but not a ton. This one is for the chocolate fans. 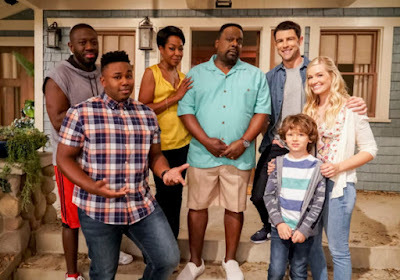 It wasn't my favorite of the bunch, but still good.